December 6, 2012 By Allyson 8 Comments This post may contain affiliate links. Read my disclosure policy. 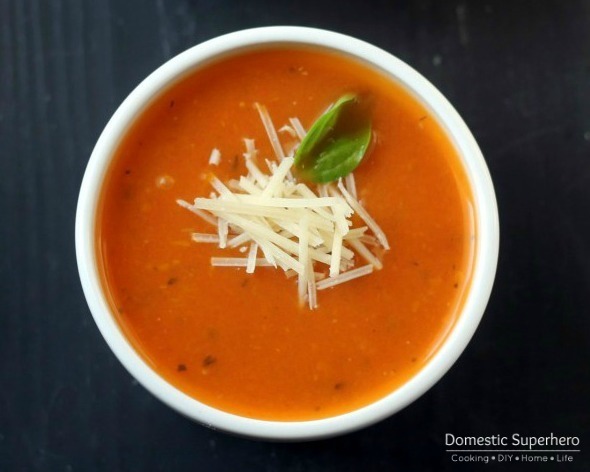 This lightened up Tomato Basil Soup has minimal ingredients and only 115 calories per two cup serving! This time of the year, as it starts getting cooler (not too cold, we are talking about Georgia after all), I tend to gravitate towards making soups. They are generally easy to prepare, fairly inexpensive, and there are always left overs for my husband to take to work with him the next day. 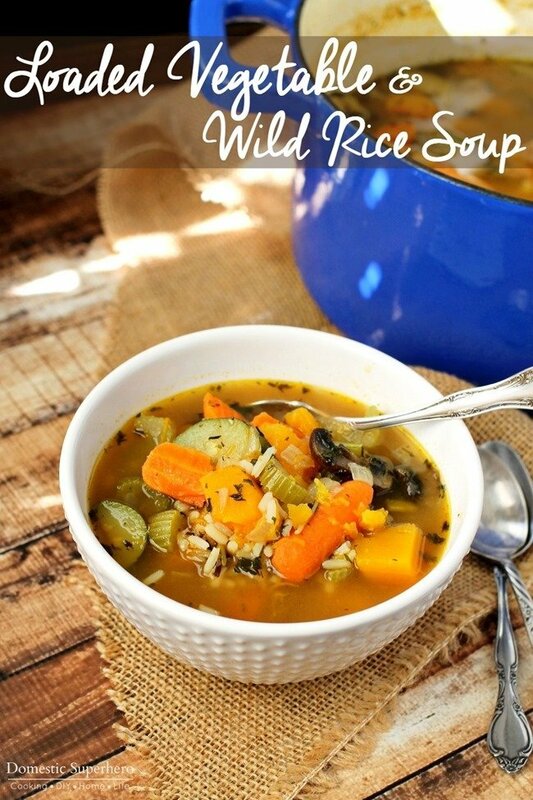 I mostly enjoy any type of soup, and love finding new vegetarian recipes to try. 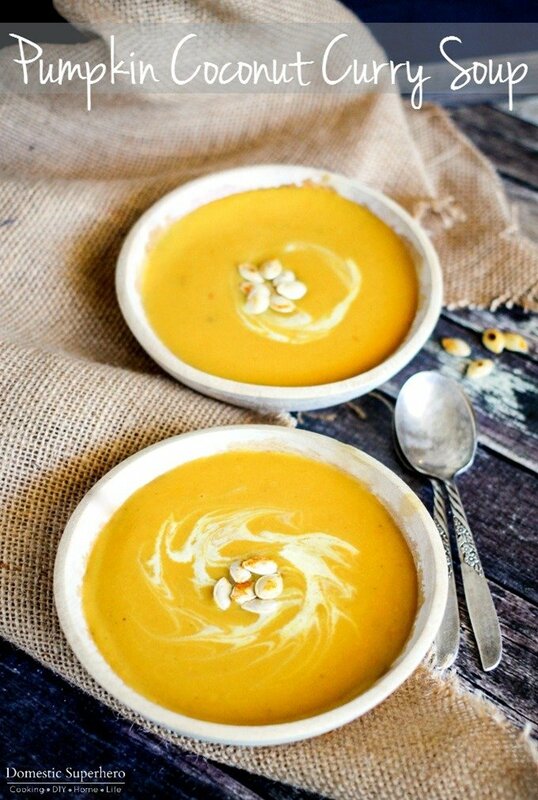 Even soups that have meat can usually be altered pretty easily to be vegetarian….and it goes the other way too, as it is easy to add meat to vegetarian soups as well. Growing up I used to love eating tomato soup with grilled cheese, but now that I am older, I don’t really each much condensed soup anymore. 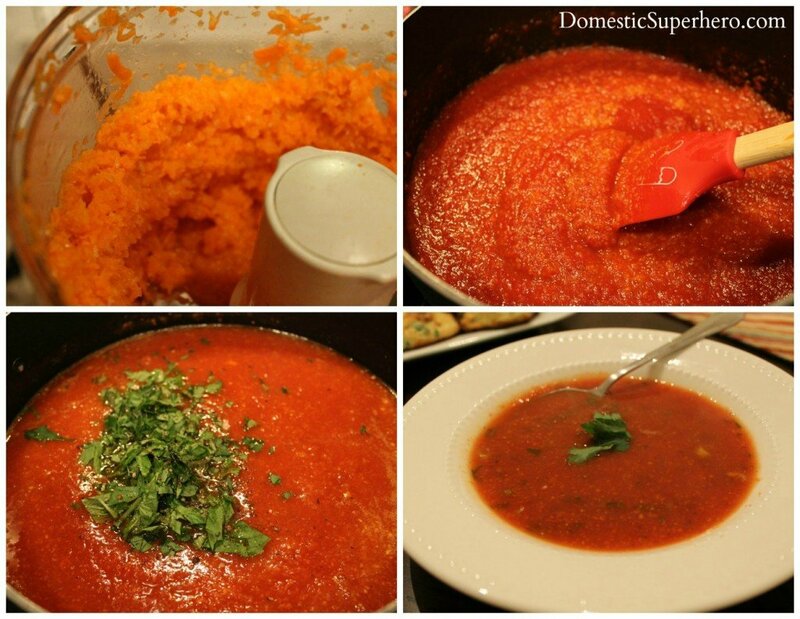 Making my own tomato soup seemed like it would be fairy easy, so I wanted to give it a try. I used some additional veggies to bulk this recipe up (so it wasn’t just tomatoes), and it turned out great. I also got to use some basil from my herb garden! 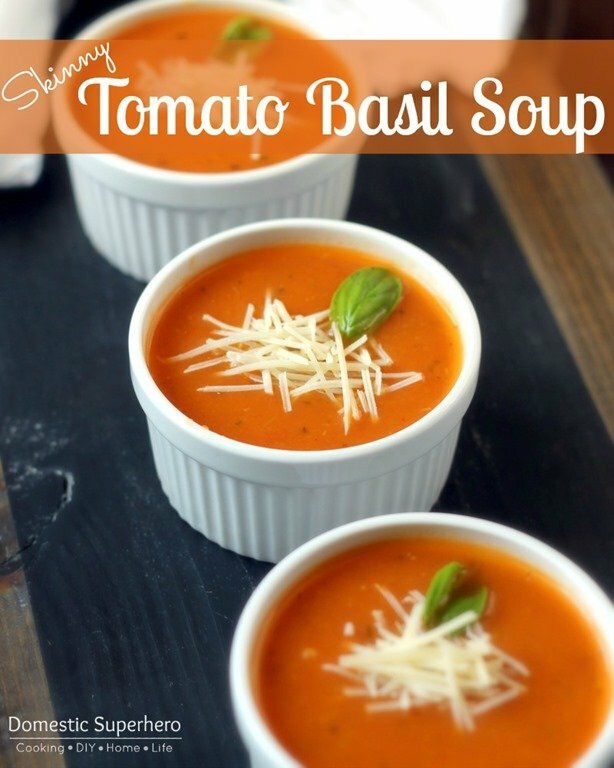 This Tomato Basil soup is very easy to make. It’s fast, there are minimal ingredients, and it tastes delicious. Instead of the traditional grilled cheese, I served this with Cheddar Biscuits. The meal was perfect. Chop onions, carrots, celery and garlic using a **mini food processor or chopper. Melt butter in a large soup pot over medium heat. Add butter until melted, then add chopped onions, carrots, celery and garlic. Cook stirring often until soft, about 8-10 minutes. Add broth and tomatoes, stirring well. Remove herbs and discard, **blend with a hand blender until smooth. (A regular blender would work, but be sure to let the soup cool before blending and fill only halfway in the blender so it doesn’t explode on you). **From the beginning I used my food processor to chop all the vegetables. I let them process for a minute to get them as chopped/pureed as possible. I skipped using the hand blender at the end because I didn’t mind that my soup wasn’t super smooth. Makes 8 cups. About 115 calories per 2 cup serving. That sounds so delicious, too, Peggy. Have you ever tried subbing the heavy cream with greek yogurt? 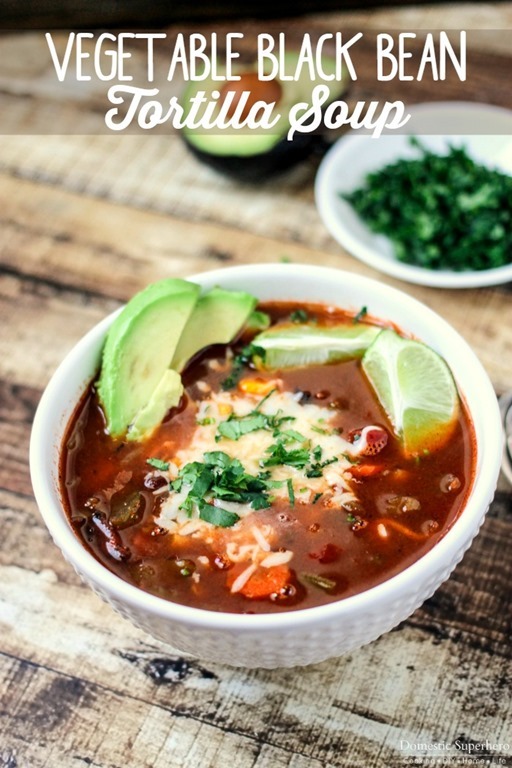 I have been doing that lately and it’s really not much of a difference taste wise, and it feels really decadent….plus it adds protein and less fat and cals! I am so glad y’all like it! It’s a staple in our house too…I always double it and freeze half so I don’t have to make it all the time!